In the third article of this three part series, the author discusses the remaining portions of the Job Aid, specifically, the Discussion and Analysis Section of the Job Aid which addresses: Evidence-Based Valuation Analysis, Theory-Based Valuation Analysis, and Weighting of Factors and Approaches and shares his views on the value and limits of this document. In this third article of a three part series, the author provides additional thoughts on the value and limits of the recently published IRS Job Aid. The balance of the Discussion and Analysis Section of the Job Aid addresses: Evidence-Based Valuation Analysis, Theory-Based Valuation Analysis, and Weighting of Factors and Approaches. The Evidence-Based Valuation Analysis section is bifurcated into “A View from the Tax Court” and “A View from Academia,” noting, “the weight to be accorded to these analyses will depend upon the validity of their reasoning and the thoroughness of the data considered.” The Court section simply follows the line of cases previously discussed in this article. The entire listing of relevant opinions is set out in Appendix B to the Job Aid. It is clear throughout the entire Job Aid that the authors within the Internal Revenue Service are standing behind the case law as the primary guiding element of their challenges to tax-affecting S corporation earnings. Much of what is written within the Job Aid, and which has been addressed within this article, is simply a reiteration of the relevant court decisions. However, valuators would be wise to take these case outcomes with a grain of salt—understanding, as always, that valuation is a question of fact. While the cases are insightful, there is much discussion and commentary on the rationale behind a number of those decisions. In the “View from Academia” section, the Job Aid cites just one primary analysis data-based study as academic evidence that deserves consideration in the course of valuing non-controlling interests in S corporations. The study, authored by Merle E. Erickson and Shiing wu Wang concludes that controlling interests in S corporations are more valuable than similar interests in equivalent C corporations in a range of 10% to 20% of value. The Job Aid discusses this study at length in Appendix C and notes the importance of the study is not in the conclusion but, rather, in the methodology of the analysis. An earlier analysis and study of this issue is also referenced in a footnote but is not discussed. The mechanical nature of the models is not based in theoretical concepts necessarily requiring market confirmation, as noted in the Job Aid. The models all seem to generally function in order to quantify the economic benefits accorded an investor in an S corporation established by fixed statutory law. If one is arguing there is an economic benefit accorded a federal income tax structure, one should only need to go to guiding tax law, as enacted by Congress, to understand the mechanics of quantifying those affects. This section of the Job Aid provides two examples, reinforcing the information discussed earlier throughout the document, as well as a general Summary, again deferring to Revenue Ruling 59-60. The summary also lists some additional specific factors that should always be considered in conjunction with meeting professional valuation standards. More than a decade and a half has passed since the Tax Court’s decision in Gross first brought this issue to the forefront in the profession. It is unfortunate it has taken this long to gain some insight into the thinking of the Internal Revenue Service on this matter. More unfortunate, however, especially if it was intended to serve as guidance, is the information contained in the Job Aid offers little more than that which could be easily gleaned from a careful reading of the case law. It is clear that practitioners choosing to tax-affect earnings of S corporations in the valuation of non-controlling equity interests have an uphill struggle before them, should the tax-affecting be challenged by the Internal Revenue Service. As illustrated in the Job Aid, the Agency appears poised to stand on the foundation provided by the relevant cases. 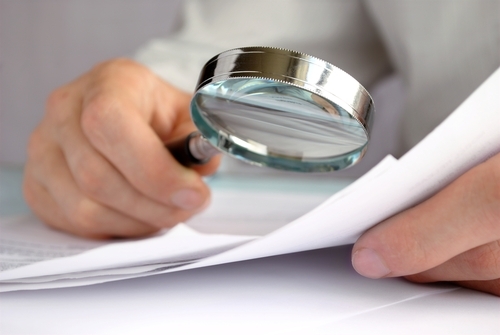 Practitioners and taxpayers cannot dismiss out of hand the information set out in the Job Aid. At the same time, it is critical readers of that document clearly understand the information set forth therein does not constitute legal statute or any specific guidance required of valuators, or which might be relevant to the identification and quantification of the benefits associated with holding a non-controlling interest in an electing S corporation. Robert J. Grossman (Bob or Mr. Grossman) heads Grossman Yanak & Ford., LLP’s Tax and Business Valuation Groups. The firm is based in Pittsburgh, PA. Mr. Grossman has over 35 years of experience in tax and valuation matters that affect businesses, both public and private, as well as the stakeholders and owners of these businesses. The breadth of his involvement encompasses the development and implementation of innovative business and financial strategies designed to minimize taxation and maximize owner wealth. Mr. Grossman can be contacted directly at: (412) 338-9304 or e-mail: grossman@gyf.com.